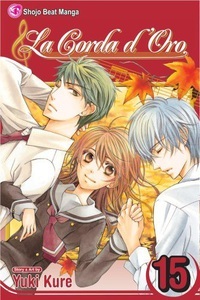 As Len leaves Japan to study abroad, Kahoko struggles with the changes in her own life. Can she find a way to say farewell to Len before it's too late? Can she ace the upcoming music contest without Len's tutoring - or the help of her magic violin? And what will she do when both Ryotaro and Azuma decide it's time to make a move?